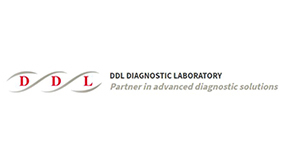 DDL Diagnostic Laboratory (DDL) is a state-of-the-art laboratory specialized in (molecular) diagnostic testing and diagnostic assay development. DDL performs advanced (molecular) diagnostic testing on behalf of pharmaceutical companies and clinical laboratories, within the complex framework of preclinical studies and Phase II-IV clinical trials. DDL also designs, develops, and validates.